Conveniently located in the heart of Brightwaters, NY (find us on the map)! Proudly serving Bay Shore, Brightwaters, Islip, Brentwood and beyond! As a self-storage facility, we know from experience that one size certainly does not fit all. Day-in and day-out, we receive unique requests from our customers and we always go above and beyond to find custom solutions to each individual’s needs. With our new On-Demand storage option, we are addressing two of the most common needs we have seen from our customer base: Convenience and Cost Efficiency. 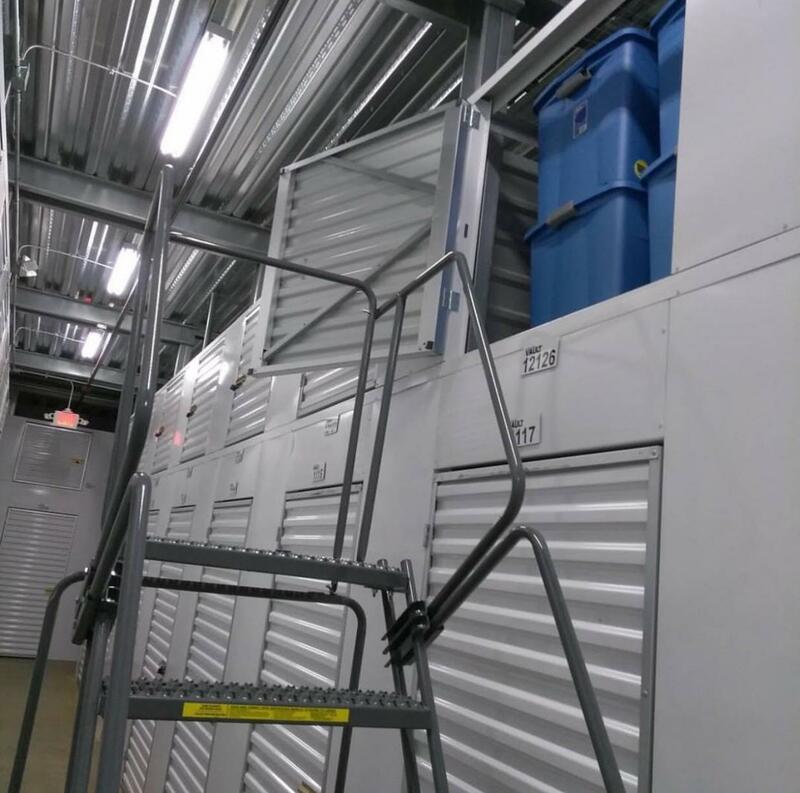 For our Overhead Vault units, The Self Storage Vault offers drop off and pick up on Monday and Friday of each week. We will drop off eight large bins* to your home which will fit easily into your new unit. At your convenience, pre-fill those bins over the course of the week with all your unwanted clutter. On Friday, our team will pick up the items directly from your home, drive them back to our secure facility, and conveniently slide the bins directly into your brand new Storage Vault. Easy as that! You will lock your bins personally, so we will never open your bin as we 100% respect our customers’ privacy. Call or text today at (631) 969-9400 or shoot us a note to coordinate your seamless pick-up! To qualify for this unique On-Demand offer, you are not forced in to any year-long contracts, you just have to rent the unit for a minimum of 3 months. 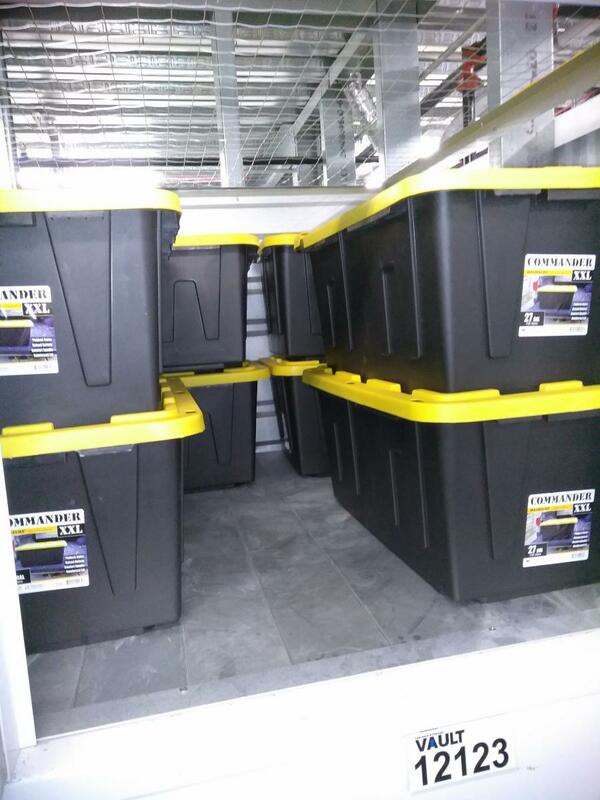 Perhaps best of all, at the end of your lease, you get to keep the storage bins that we provided you with. This is a value of over $100! 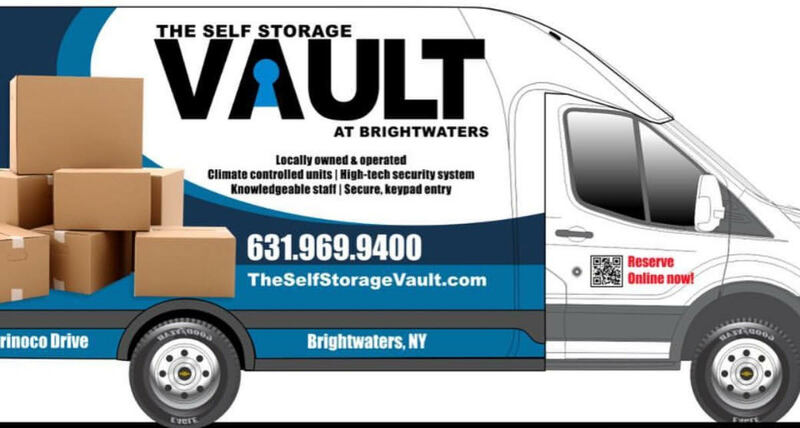 While most storage facilities on Long Island have units starting at $75+, we are thrilled to be offering our Overhead Vault units at the low price of just $39/month! By building up instead of out, we are able to offer these units to our customers at an incredibly low price. These Overhead Vaults are safe, secure, and affordable – and with our On Demand option, you don't have to worry about loading all your heavy stuff up the stairs and into the unit. 4. Don’t Just Store It, Vault It! 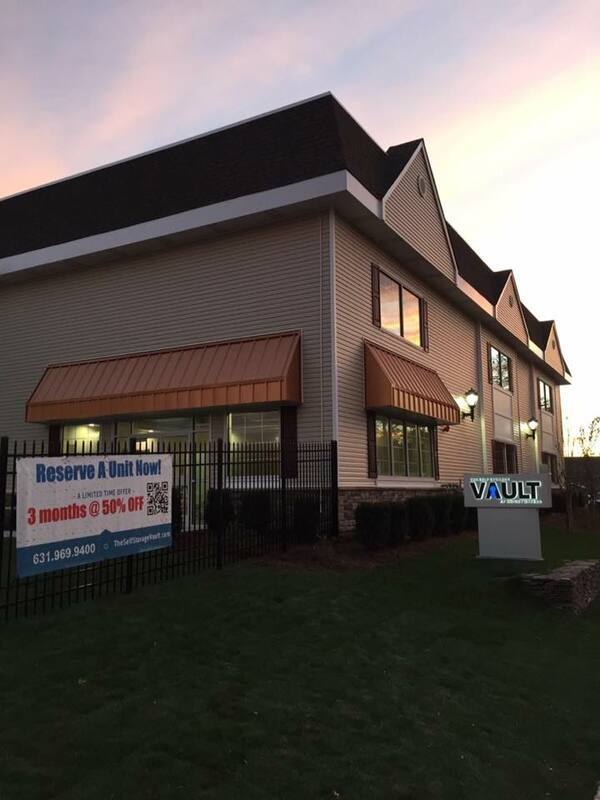 At The Self Storage Vault, we pride ourselves on offering unique amenities with a premium on customer satisfaction and safety! The facility boasts 24/7 Surveillance, 360-Degree Perimeter Fencing with a Gated Parking Lot, Climate-Controlled Units, and a host of tools and supplies on-site for your convenience. Click here to book online right away! For more information, please call or text us at (631) 969-9400 or click here to contact us! We are happy to hear from you!